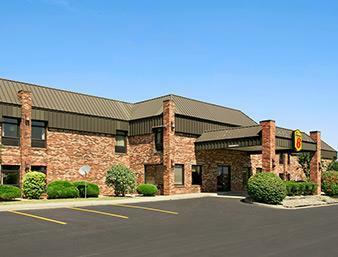 The Super 8 Columbia City features 52 air conditioned guestrooms, coffee/tea makers, and remote lighting/drapery/curtain control. All rooms include separate sitting areas. Upgraded rooms with new beds, mattresses and bases. Accommodations include refrigerators and microwaves. Bathrooms feature separate bathtubs and showers, makeup/shaving mirrors, complimentary toiletries, and hair dryers. Wireless Internet access is available. Televisions have premium cable channels. Also included are irons/ironing boards and clock radios. Housekeeping is offered daily and guests may request wake-up calls. The hotel serves a complimentary breakfast. Guest parking is complimentary. Additional property amenities include multilingual staff and express check-in. Recently remodeled in 2013 - We have done new mattresses, coverlets, headboards, shower heads, shower rods, new furnitures, drapes, re-painted the entire hotel in rooms and hotel lobbies, new breakfast bar tables and chairs and many other things. ~34 miles from Columbia City. ~53 miles from Columbia City. ~44 miles from Columbia City.